Conventional wisdom states that once you have kids, traveling the world becomes unrealistic. These days, this misguided maxim has been turned on its head, as countless travel blogs have chronicled the globetrotting adventures of families that have broken out of this outdated paradigm. If they can perpetually travel while raising their offspring, surely you can get away for a week or two with your children in tow. Paralyzing fear surrounding how they will handle their first plane ride is one of the biggest roadblocks for most parents. While flying with the family for the first time can be an anxiety-inducing affair, there are a number of measures that you can take to make this a smoother experience. By bringing along enough books and pre-loaded cartoons on your tablet, they’ll have enough entertainment options to distract them until they fall asleep. With this obstacle out of the way, here are several holiday destinations that are suitable for young families that are passionate about travel. When you are on holiday with young children, having services available to take the most arduous aspects of parenthood off your hands is of paramount importance. For this reason, you should seriously consider planning a trip to a resort in the Riviera Maya, as many of these luxurious all-inclusives have babysitting services. This will keep your kids entertained while you and your partner enjoy some much-deserved alone time relaxing on some of the most brilliant beaches in the world. There are many activities that can be done together as well, as Xcaret and numerous cenotes are excellent candidates for an action-packed day spent outside the resort. Those looking to stick closer to home should consider spending at least a week on the island of Menorca. 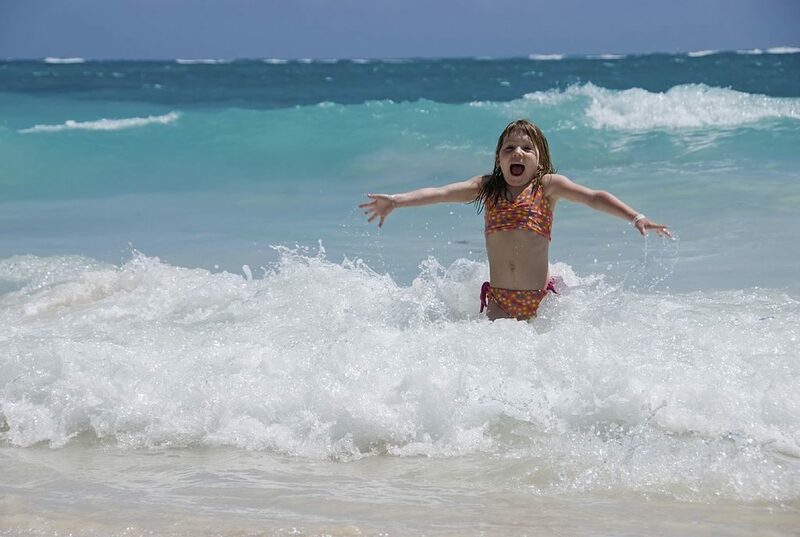 In particular, Es Grau is a great place to base yourself if you have small children, as its beaches have shallow water that extends for over 100 feet offshore. What’s more, there are many excellent holiday homes and villas available for rent here (just be sure to protect your investment by insuring it through companies like Schofields) where you can make yourself at home, instead of having to put up with the problems of staying in a hotel. A dream holiday in the South Pacific needn’t be unrealistic for a family with small children, as the island of Fiji is equipped with the resources necessary to make such a trip enjoyable for Mom, Dad, and the kids. Fijian nannies are known for their enthusiasm when it comes to caring for young ones, so you can feel comfortable leaving them in their capable hands while you and your partner enjoy some of the most epic tropical vistas in the world in peace and quiet.